With property prices skyrocketing, many people are now opting to extend their current homes rather than moving to a more spacious home. For those with growing families that are needing more and more space but need to keep their costs down, getting an extension is usually the best option to keep up with your needs for more space without having to break the bank. 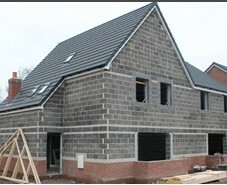 Building Extensions often come in so many different shapes and sizes depending on your needs, and are usually designed completely unique to you to perfectly fit your property, and match your exact needs, whatever they may be. Whether your home has a large front and back garden or you live in a house with limited space for an extension, we can make it work. We have added multiple rooms onto a home where a homeowner couldn’t find any possible space – all down to a good architect and a qualified builder. FTR Brickwork LTD can help adapt your home for any specific uses, whether its changing the shape and size of existing rooms and partitions, adapting areas for disabled access or or creating new access ways. At FTR we have only qualified staff on board who are knowledgeable in all aspects of building work, they know about load bearing walls, and building regulations if you wish to change one room into another, ensuring we can guide you through everything, discuss your requirements and work on a plan. 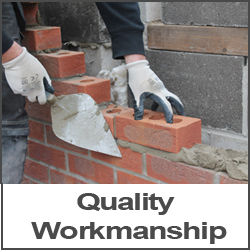 We at FTR are multi trades but are prodominently bricklayers so we can deliver all aspects of masonry. Anything from garden walls to full house builds from scratch.